Pretty, Hot Mama, cute are some of the adjectives to describe this top Malaysian actress. Recently, she hit the headlines as being the first Malaysian celebrity to hit the 1 million mark on Instagram. I’m referring to the one and only, Nora Danish, who was in town last week for the theatre, Bahayanya Wanita. The Fifth Parlour got the opportunity to meet Nora and the cast of Bahayanya Wanita during dinner. Nora’s fans must be happy that Instagram existed because thanks to that application, you are being updated about Nora’s life. Not only you will know what she ate for breakfast, but you will know whare she wore that day and what she did. To Nora, Instagram is just like a mini diary since it has now become her habit to share everything on Instagram. So what is Nora’s favourite app to edit her pictures? With a smile and looking excited, without hesitation she revealed that Camera360 is her favourite. Adding on, if the picture is dark, she would use Instaflash! So fans, what are you waiting for, start downloading the app! Other than being known as an Instagram queen, her beauty and fashion sense has been adored by many. According to Nora, she does not have any special routine for her beauty regime as she is a simple person. Just like any ordinary girl, she washes her face before going to bed, apply moisturizer and uses sunblock to protect her skin. When asked what she usually carries in her bag, she said “OMG!” in an instance. She revealed that she tend to carry a lot of things but there are two things that are important to her; handphone and mirror. She loves to check herself in the mirror every now and then. Before ending the interview, we got Nora to share with us if there is anything she fears the most. It might sound funny to you but she is scared to filled her car’s tank. She has never filled any in her own life. Even though, she has not been in any incident related to it, she just cannot bring herself to fill the tank; weird but true. 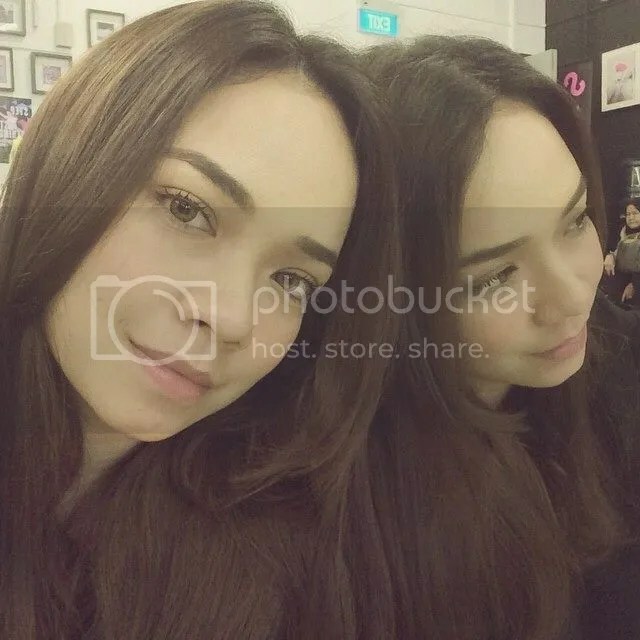 It is really a pleasure to get to know the talented Nora Danish. She is one of those artist who is not afraid to share what she feels. The Fifth Parlour would like to thank Nora Danish for the interview and Picqu from Cocoon Films Pte Ltd for the invitation and coordinating the interview.